Size of this PNG preview of this SVG file: 800 × 533 پکسلز. دوجے ریزولوشنز: 320 × 213 پکسلز | 640 × 427 پکسلز | 1,024 × 683 پکسلز | 1,280 × 853 پکسلز | 900 × 600 پکسلز. ذریعہ The drawing and the colors were based from flagspot.net. This Pakistani work is now in the public domain because its term of copyright has expired according to the Copyright Ordinance, 1962 as amended by Copyright (Amendment) Ordinance, 2000 (details). it is a photograph, a cinematographic work or a sound recording and at least 50 years have passed since the end of the year of its publication (or since the year of creation for photographs from before independence in 1947, as per the Copyright Act 1911). it is a governmental or anonymous work and at least 50 years have passed since the end of the year of its publication. To the uploader: Please provide all relevant authorship and publication details. You can see its nomination at Commons:Valued image candidates/Flags of SAARC member countries. 18:38, 30 اکتوبر 2012 900 × 600 (2 KB) Aguzer English: Moon Status: One Object Türkçe: Ay "Tekil" hale getirildi. 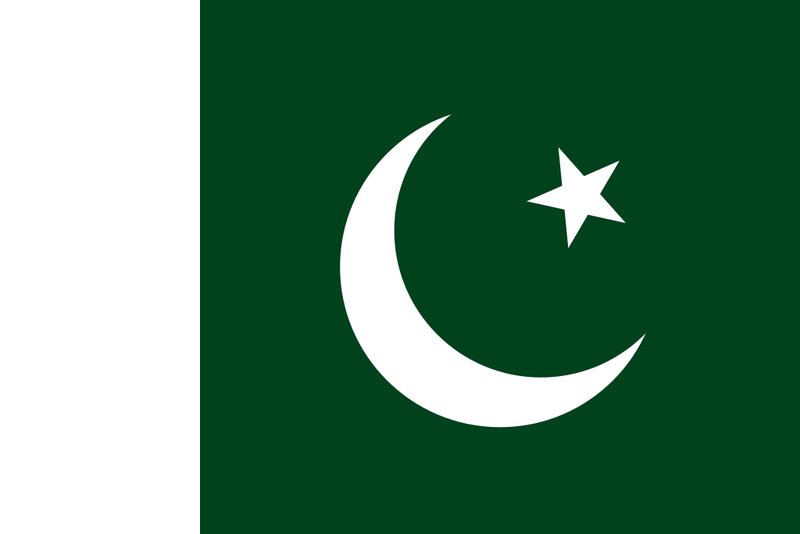 02:32, 5 مئی 2012 900 × 600 (3 KB) Fry1989 Pakistan uses a very unique dark green that I've struggled for a LONG time to find, but I think I've finally cracked it. 02:31, 5 مئی 2012 900 × 600 (3 KB) Fry1989 Pakistan uses a very unique dark green that I've struggled for a LONG time to find, but I think I've finally cracked it.